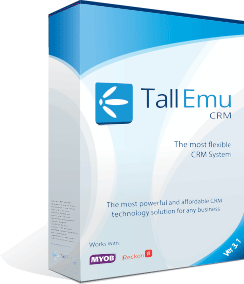 What is CRM Software (customer relationship management)? This entry was posted in What is CRM on March 16, 2013 by David Northmore. CRM stand for Customer Relationship Management. In its purest form, a CRM is basically a database for company data; most people regard it as customer centric system. So it is ideal in situations where companies have many customers and this data needs to be shared among people or systems. The more useful way to think about CRM is as a system that will help bring together disparate information about customers, sales, marketing efforts, responsiveness and communications. It also allows you to mange projects and tasks. The power comes of CRM is this data is stored so that it can be queried, shared and used to initiate action (especially powerful if your CRM has a Workflow engine).